The whole “artist formerly known as Prince” / “I’m a symbol, not a name” silliness started because Prince was unhappy with Warner Bros. Records, the label that had released all of his classic albums, from 1978 until his eventual release nearly 20 years later. Prince made no secret of his anger with the label, publicly fighting with them, appearing with the word “slave” on his cheek, and releasing a bunch of half-baked music in order to fulfill his contract more quickly. It led to this: “The first step I have taken toward the ultimate goal of emancipation from the chains that bind me to Warner Bros. was to change my name from Prince to the Love Symbol. Prince is the name that my mother gave me at birth. Warner Bros. took the name, trademarked it, and used it as the main marketing tool to promote all of the music that I wrote. The company owns the name Prince and all related music marketed under Prince. I became merely a pawn used to produce more money for Warner Bros.” It would have been safe to assume that that was Prince’s final kiss-off to his monetary masters, but it was announced today that Prince has forged a new partnership with Warner that will give him ownership of all those classic records, and will apparently lead to the release of previously unheard music from his most fertile period as well as a new album that the world will rise up and say, “Hey, not bad…” to. 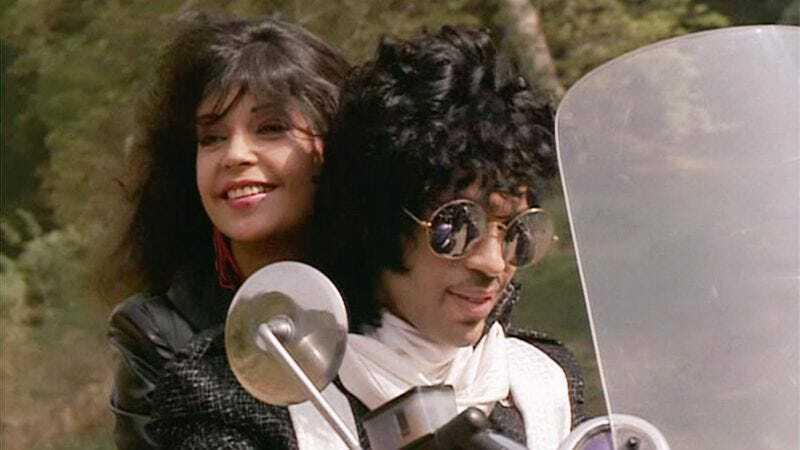 More excitement will theoretically be generated by a deluxe version of the Purple Rain soundtrack, which turns 30 this year. Here’s hoping for a super-extended “Computer Blue” remix.